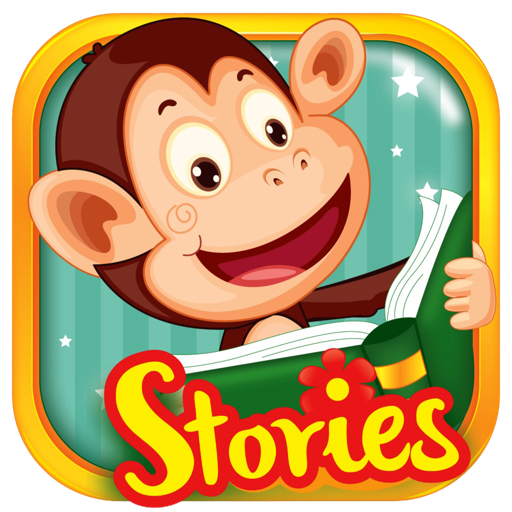 Monkey Stories: books & games 通过 EARLY START CO., LTD. 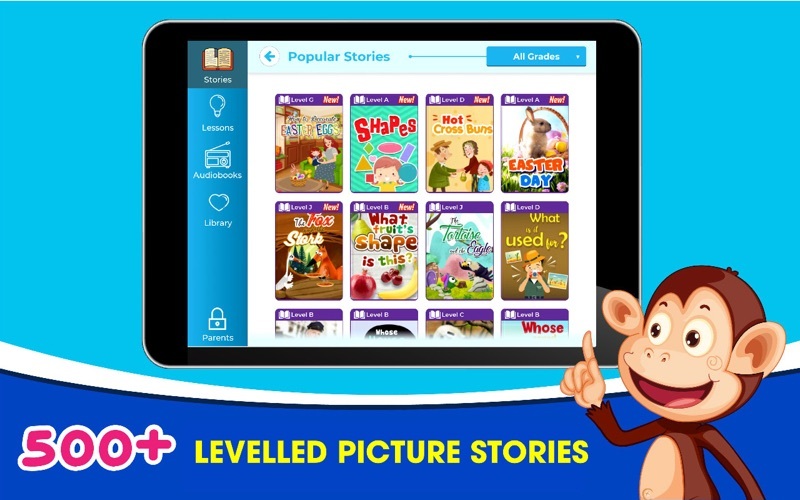 Welcome to Monkey Stories - the huge digital library for kids aged 2 - 8 that delivers a vast collection of interactive and leveled picture stories, guided lessons and audiobooks with new content added weekly. Let your child explore our world of stories and interactive activities with beautiful illustrations, lively sound effect and interesting games - a world that inspires a love of reading and ignites the imagination, and simultaneously develops essential language skills. Our 500+ ebooks are categorized into levels with guidance from the Common Core State Standards and have a wide range of topics that your little readers will definitely fall in love with such as fairytales, folktales, poems, plants, animals, family and friends …All stories are beautifully illustrated and lively animated, which are suitable for children in preschool, kindergarten and primary school. Monkey Stories allows kids to interact with the content of the story in an unique way that it never happens before. Your little one can touch different items on the page and the name of the touched objects or characters will be displayed. Not only that, some objects or characters will become animated when being touched as well. That will help the beginning readers to learn vocabulary and understand the plot of the story better. 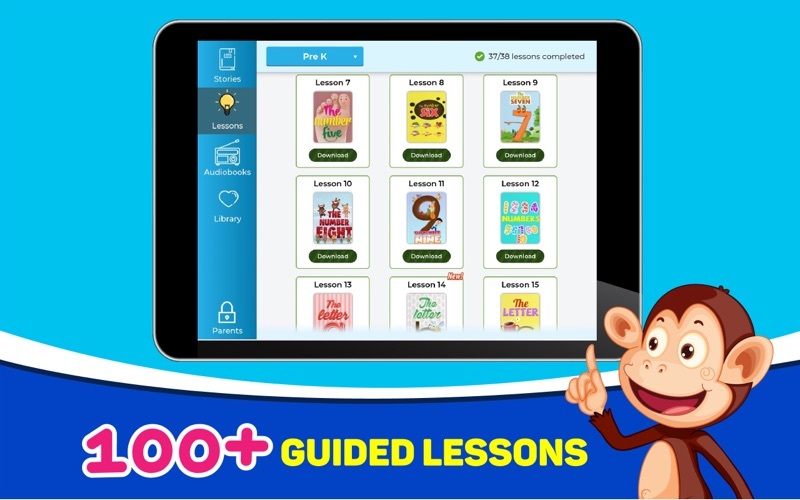 100+ guided lessons in Monkey Stories are divided into 3 levels, including Pre-K, Kindergarten and Grade 1. All activities in the lessons are tailored to age group and the language receptive ability of children, aligned with Common Core State Standard. 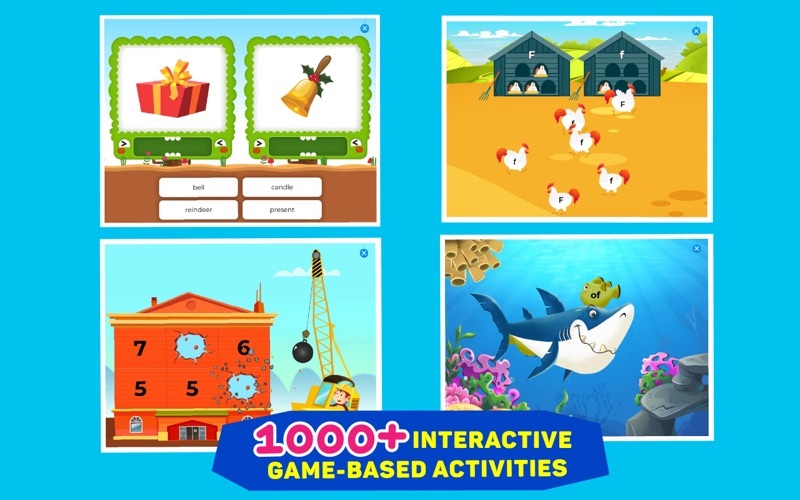 More than 1,000 activities are instructed in English and are designed to let children play to learn, which helps them engage, enjoy learning English and eventually use English naturally. 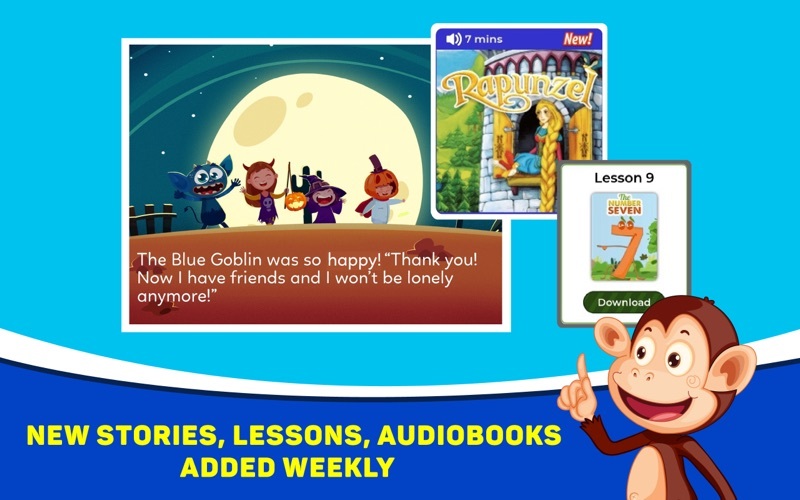 Monkey Stories’ guided lesson are similar to those used in the classroom, guaranteeing that children will not only be more interested in learning English, but also develop essential skills for higher English levels. 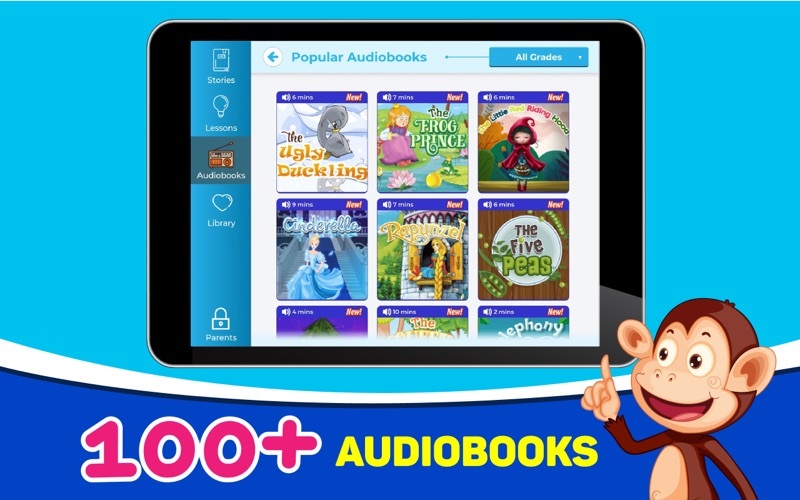 Our 100+ audiobooks collect best stories that all kids love and be inspired, including tales from the Brothers Grimm, Hans Christian Andersen…, famous fables and moral stories. All audiobooks have lively sound effects, music and multiple narrators that are not only fun, but also stimulate children’s imagination. Monkey Stories has no advertising, pop-up ads, or links to other sites. Your little readers can explore with you, or on their own in a safe and secure online educational environment. - Get Started for FREE! No subscription needed! Improve UI/UX to make Monkey Stories more user friendly.